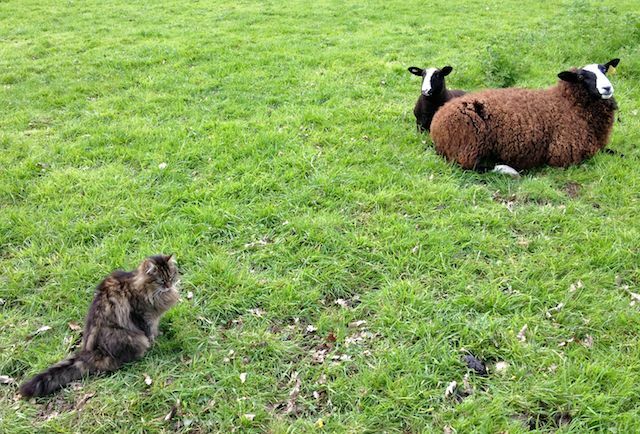 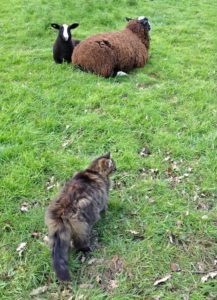 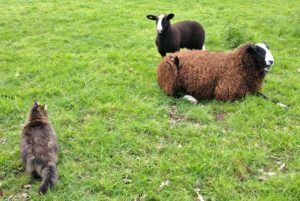 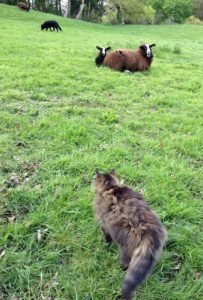 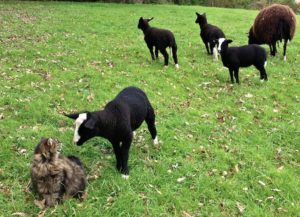 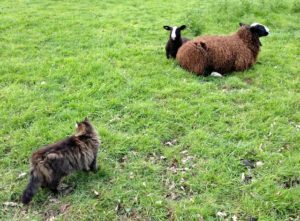 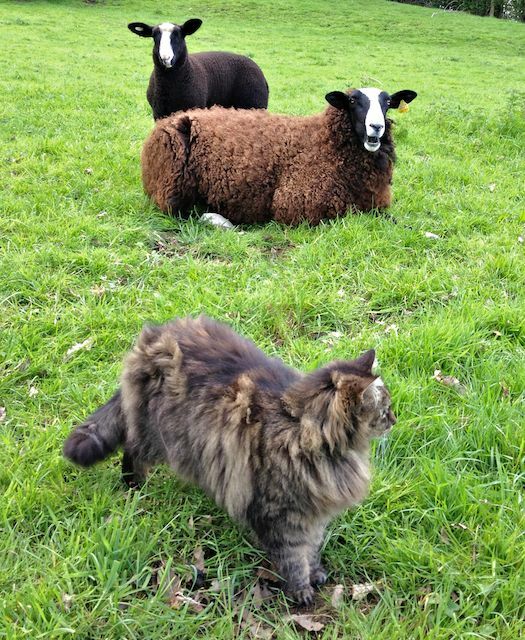 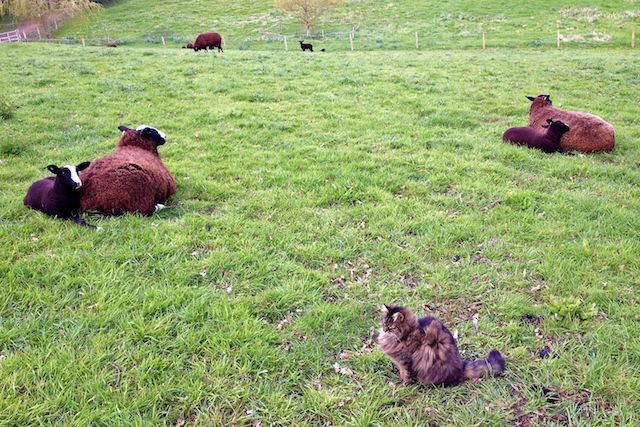 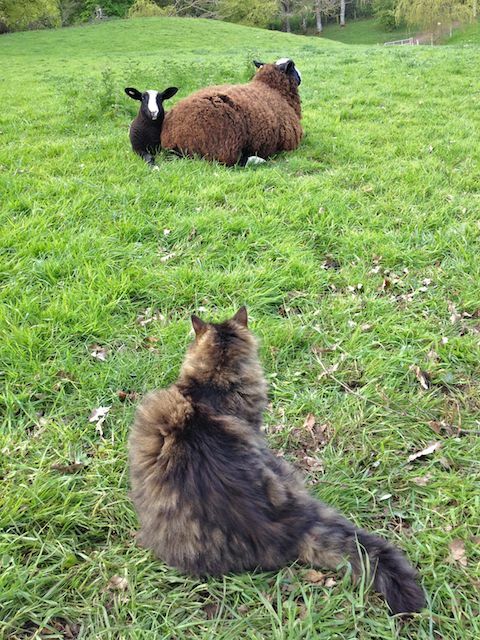 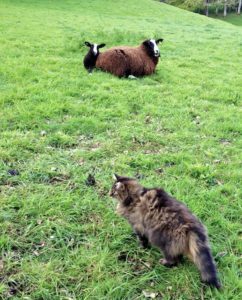 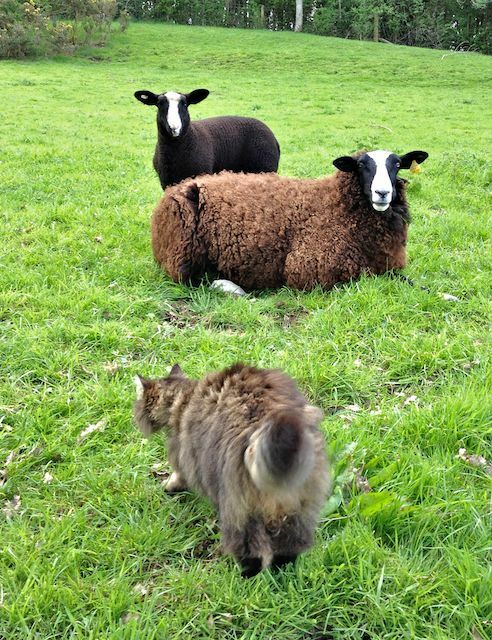 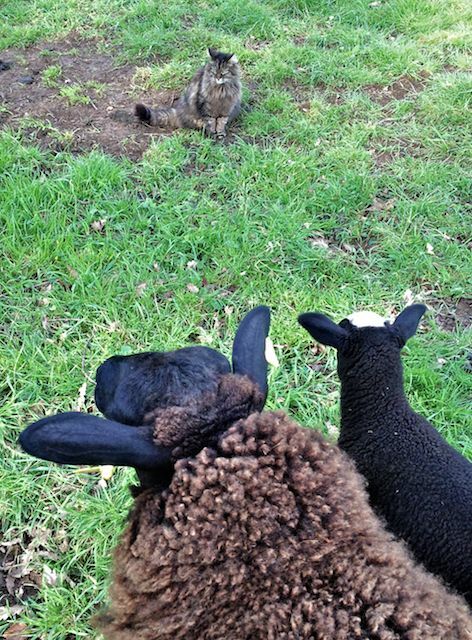 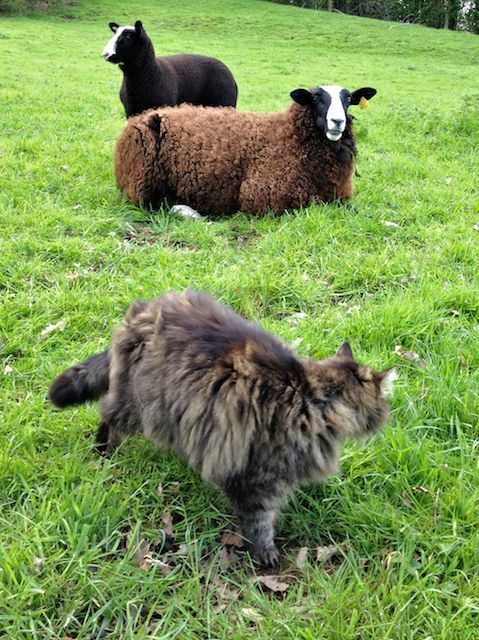 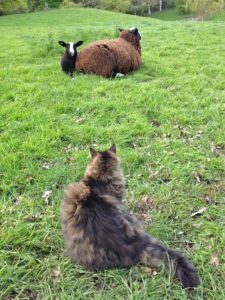 The cat shepherd, Bodacious aka Mr. B, has kindly demonstrated how you approach sheep without disturbing them by using body language. 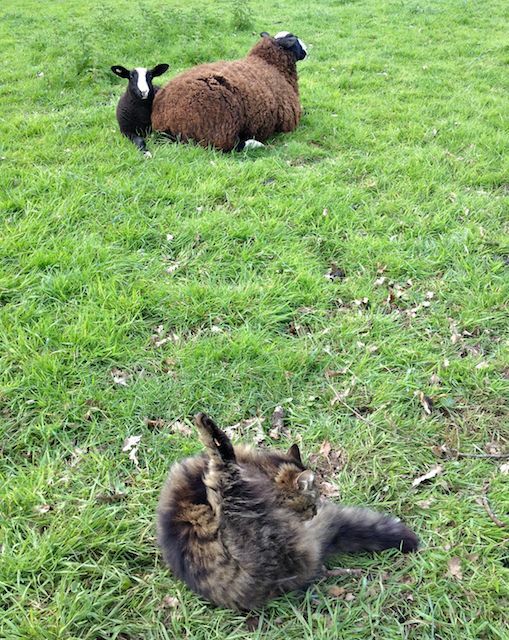 We have chosen sheep that were lying down as this way you can see they are the same sheep with little change in them as we walk around and up close to them using our quite none predatory technique. These 2 ewes & their single lambs we will use as our case study subjects. 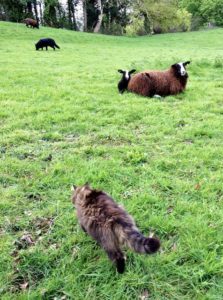 Approach sheep with your eyes averted & with your body at an angle not directly towards them. 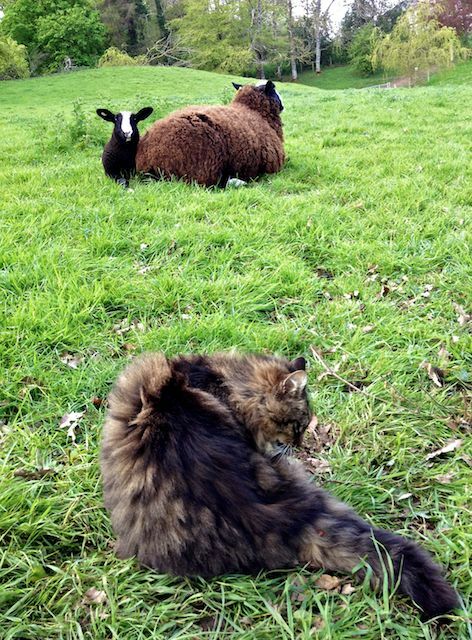 If they look worried or about to get up look away & pause on your approach. When they relax continue to approach at an angle. 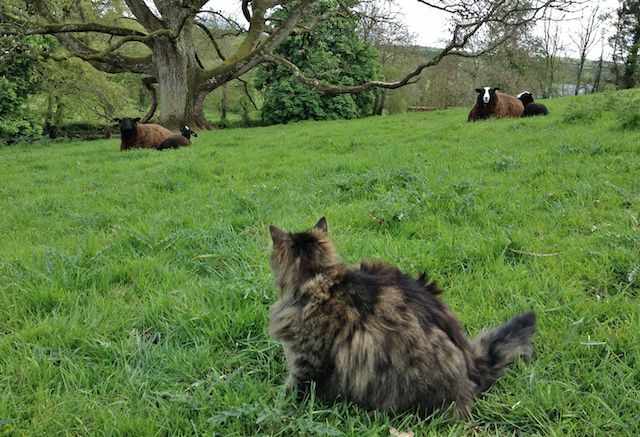 Every time they look at you just look away pretending something else is much more interesting. 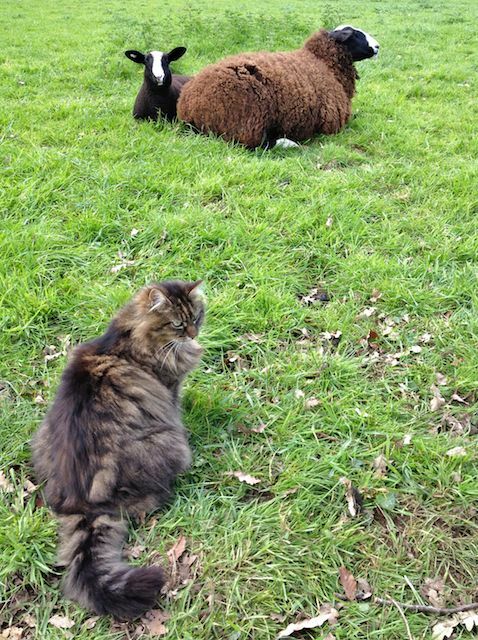 Sit and just wait till they get comfortable again but make sure you are showing them your profile. Cats like humans are considered a predator animal, so a direct approach is seen as threatening to any species of prey animal not matter how domesticated. The lamb gets up not due to the cat shepherd but because I have not been paying attention to my movements towards the sheep but trying to catch everything with the camera. 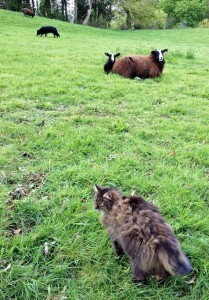 This is why when ever the lambs approach Bodacious they come to him from behind to say hello. 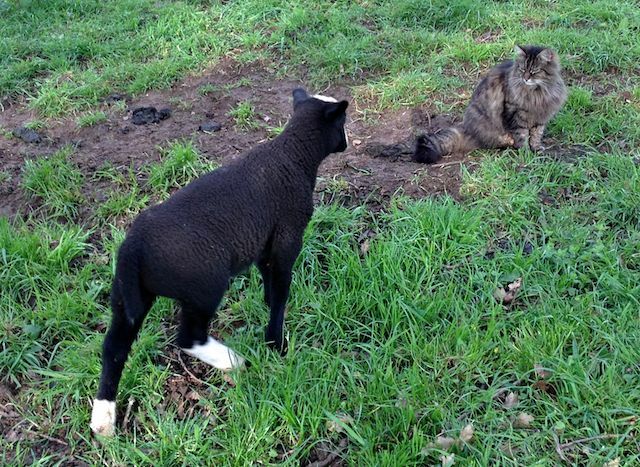 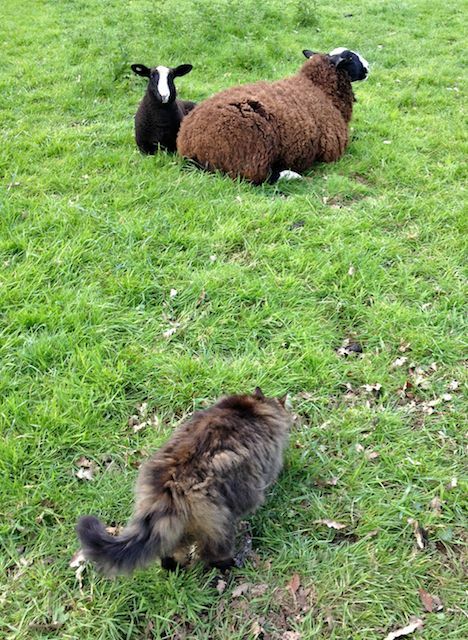 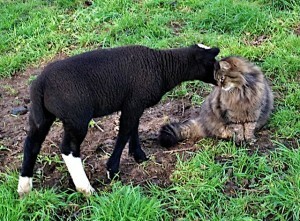 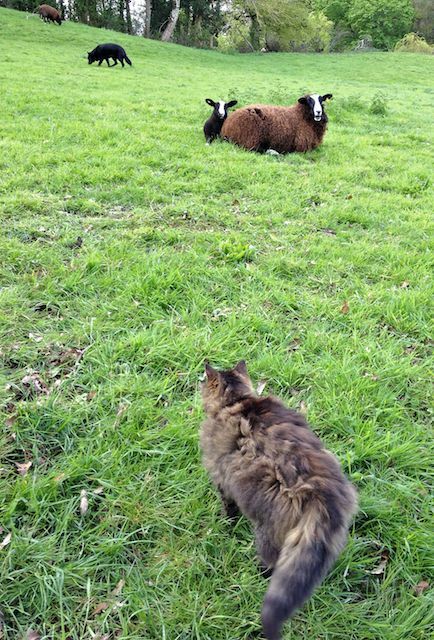 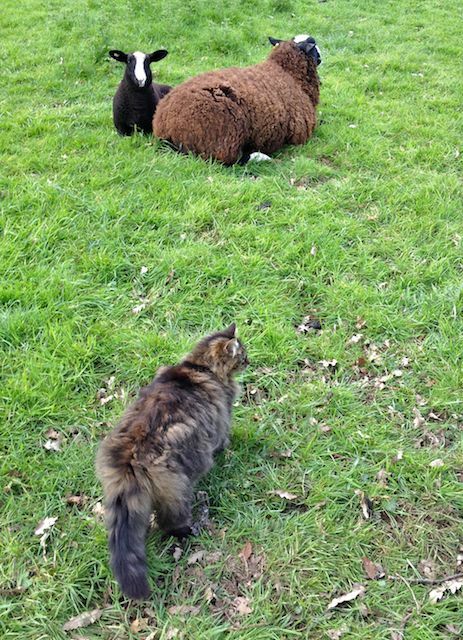 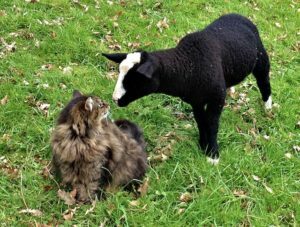 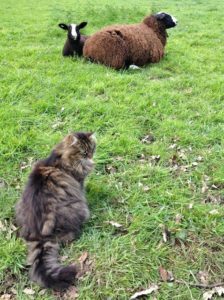 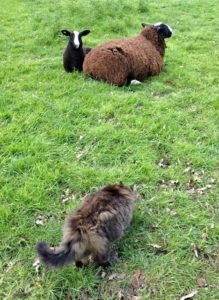 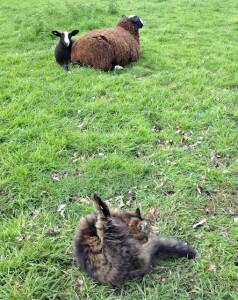 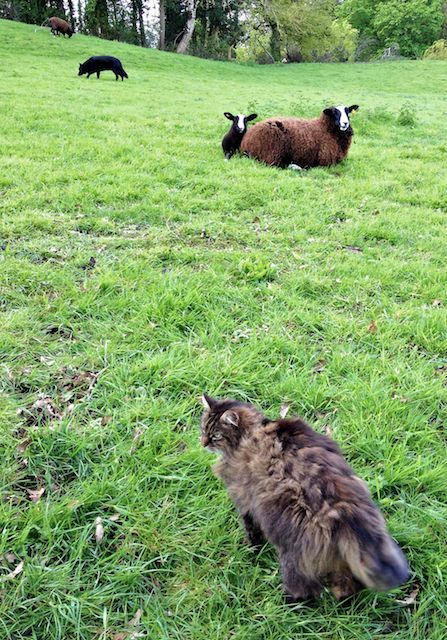 Except for Smudge who was a kitchen lamb so knows and approaches the cat shepherd head on for a warm greeting.